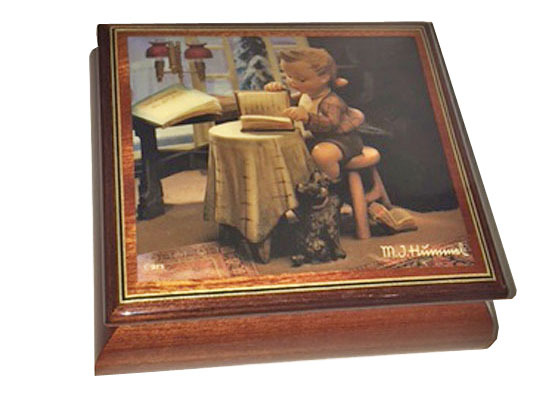 Out of Stock ETA Mid Jan A Music box for the Hummel Collector! The decoupage on lid is of the well known "Littlest Bookeeper" by Hummel. From the Artist series by Ercolano, this sweet box measures 7.25" x 6" x 2.75" and plays "Eine Kleine Nacht Musik"."